Upon receipt of your order, we work closely with you to help you to achieve the special effect you would like. We will prepare an e-proof for you, so that you can see how the special-effect image or design looks in proportion to the shape of your window. 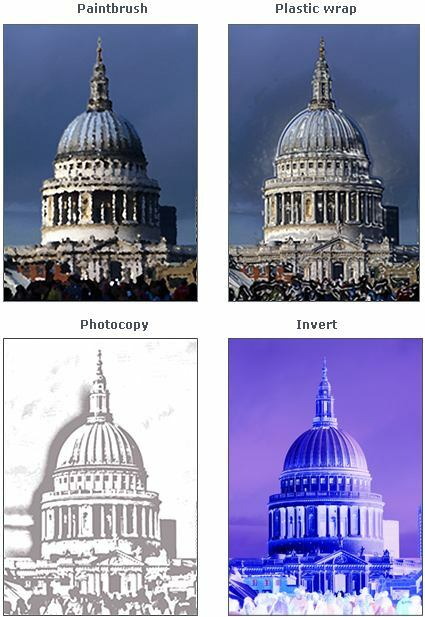 Please note, however, that not all images will suit all special effects. In most cases, there will be no additional cost, unless there is extra design work involved. In this event, we will advise you of any extra cost, and will not proceed without your approval of our quotation. So, why not give us a call on our Freephone number 0800 085 2055 and have a chat. We are passionate about our business, and want to give you the best customer service that we believe you deserve. The options are endless, so let your imagination run wild! If you’re looking for a special finishing touch to your Designer blind, have a look at some of our options for finishing the bottom edge of your roller blind. If you’d like a quotation, please call us on 0800 085 2055. 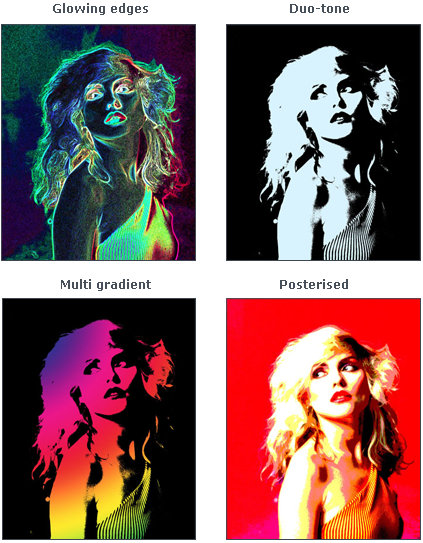 We can take any image, whether from our gallery or your own photo, and give it the 'Andy Warhol' or Pop Art effect. An effective way of making an image a bit different, perhaps to help it fit the window proportions, or maybe just for fun, is to tile the image, or create a wallpaper effect. Example 1: Titled image - Some coloured tomato images have been combined to create a tile effect for interest and colour. 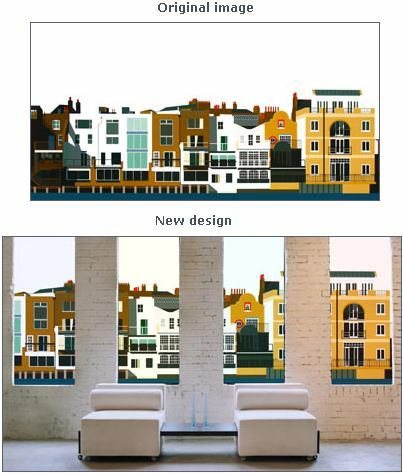 Example 2: Original image with added tiled image - The original image was the wrong shape to suit the window, and so was re-designed to include some tiles of the original image to enable it to fit. Example 3: Wallpaper effect - This House-Mouse Designs image has been repeated several times to create a wallpaper pattern. 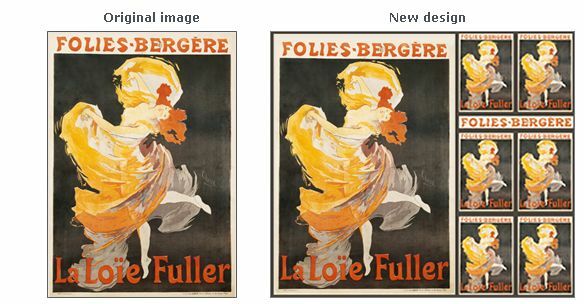 You can choose the size and spacing of the image to be repeated. 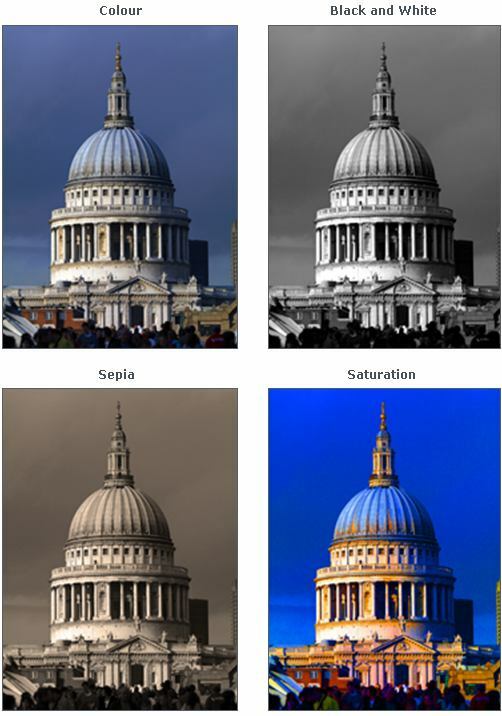 Example 1: Colour changes to an entire image - Here, various colour effects have been applied to Clive Sawyer's photograph of St Paul's. 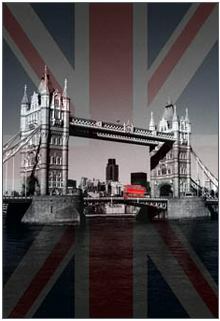 Example 2: Colouring part of a black-and-white image to create a focus - Malcolm Sanders' iconic photograph of Tower Bridge is set against a ghosted Union Jack, with the London Bus highlighted in red. 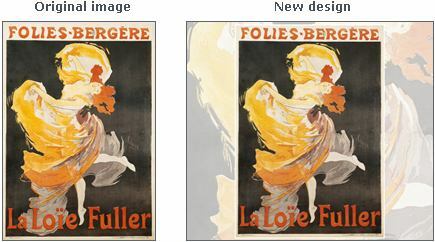 By setting the image on a complementary-coloured background, the full image can be visible on the blind. Alternatively, we can crop the image to fit your window size. Some images can be easily used at the bottom of the blind as a frieze. To enable a select image to fit a differently-shaped window, the image can be mirrored as in example 1 below. 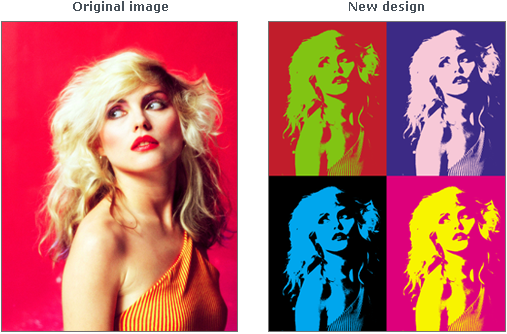 Example 2 shows the image mirrored with part of the image used as the background. It is also possible to overlay an image onto a 'ghost' background, created from part of the same image, to enable, say, a portrait image to fit a landscape window. We can achieve many different effects, some of which are shown below, so please call us to discuss. A panoramic or very wide image can be split between a number of windows.